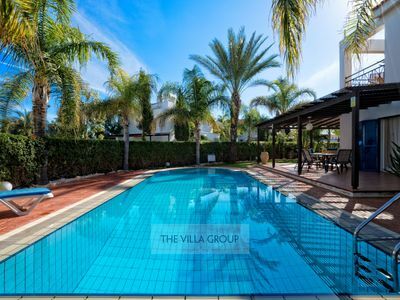 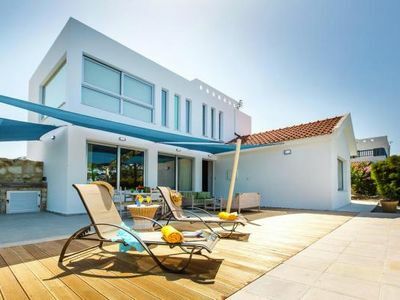 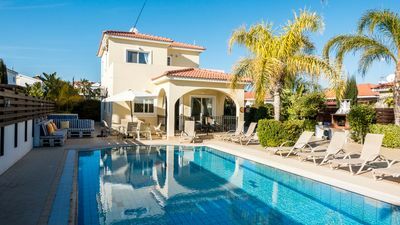 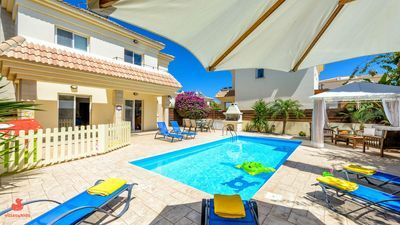 This fabulous 3 bedroom villa is located in Pernera, on the popular Palm Villas and Apartment complex. 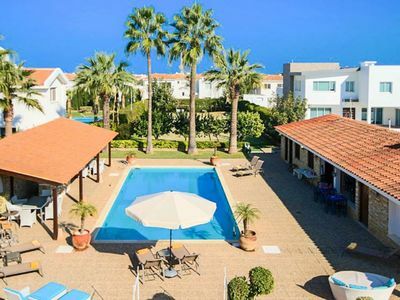 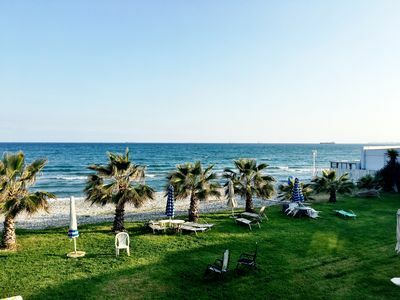 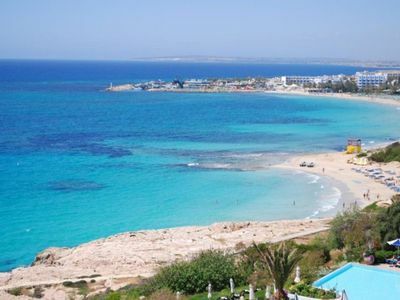 The resort centre and beaches of Pernera are just a a few minutes walk away and Protaras centre is also within easy reach. 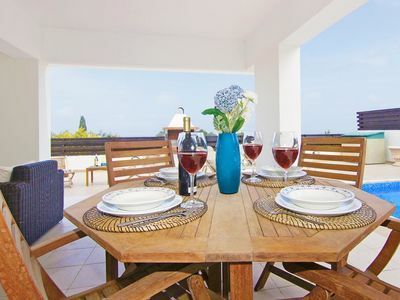 The villa is an excellent choice for families and groups who want to be located close to all the resort amenities. 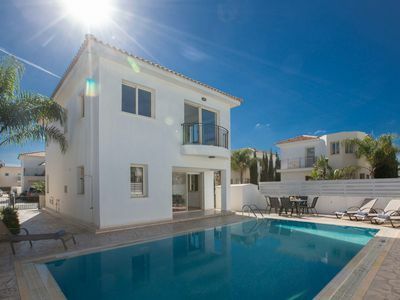 Modern and spacious, the villa is fully equipped with everything required for a relaxing stay. 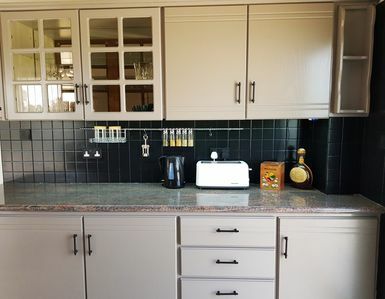 It features a comfortable open-plan living area, dining area with seating for 6 persons and a fitted kitchen with modern appliances. 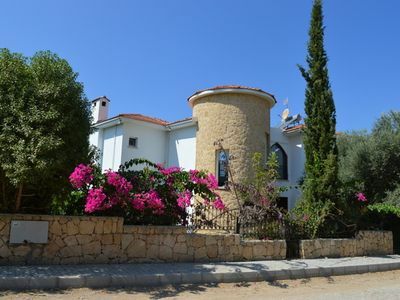 There is also a downstairs W/C. 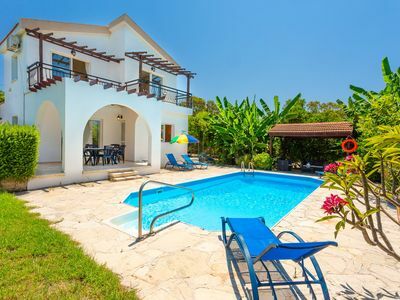 Upstairs, the villa has 2 double bedrooms, one with an en-suite bathroom, a twin bedroom and a family bathroom. 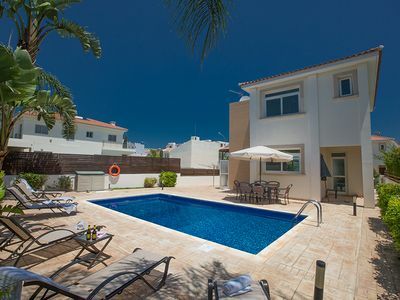 Outside, the villa has a sunny and spacious private pool and garden area, with sun loungers and patio furniture. 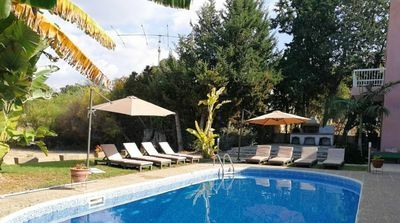 There is also the option of bed and breakfast or half board upgrade where you are able to dine at the well established Mojito Bar and Grill. 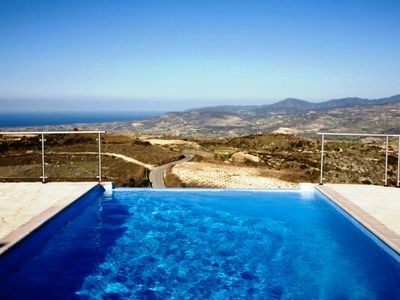 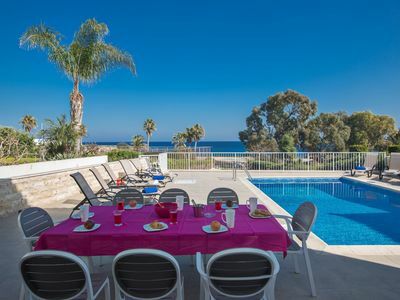 Overall, a lovely villa in a superb central location, ideal for a relaxing holiday.